Your baby will reach many developmental milestones in the first year. During the first year, your baby will develop cognitive skills as well as gross and fine motors skills. Social and emotional development also occurs during baby’s first year. Family interaction plays a huge role in helping baby to reach these milestones (Source). The more interaction a baby has with parents and siblings, the more he or she learns about social skills and develops other skills that will create a successful child that, eventually, turns into a successful adult. It is extremely important that baby develops a bond of trust and love with parents and other family members within the first year. This will help create a confident child who loves to learn and interact with the world around him/her. Besides plenty of hugs and playtime, allowing baby to join the family for meals as early as possible is a wonderful way to teach baby social etiquette and other social skills that will last a lifetime. Children who are raised in a safe and inclusive environment are less likely to be afraid to venture into the world around them, make friends, participate in group activities, and excel in school. The ZOE High Chair is a 5-in-1 high chair that can be used as a high chair, low chair, booster seat, floor seat, and converts to a table and chair set once your child has outgrown a high chair. This is one of the best choice in baby high chairs that can be used for many years as your child grows. You can purchase a backpack separately that will hold the high chair when you travel, making this one of the best portable baby high chairs on the market. Removeable and washable padding makes cleaning up after meals a breeze. Because of the multiple functions of this 5-in-1 high chair, it can be used for years and parents get their money’s worth. From baby to young child sitting at his/her own table, there are many options to choose from. When in high chair mode, the future table serves as the base with a removable mesh storage bin. 5-point restraint system and leg divider ensure baby is safe and snug while sitting in the seat. 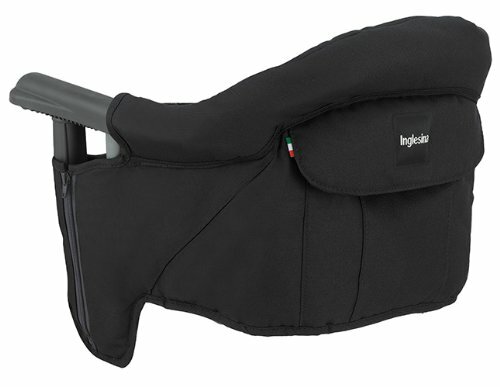 Padded, washable microfiber seat provides a comfortable seat for baby. The legs release quickly so that you can instantly go from high chair to booster seat and back again. Tray is removable so baby can sit at the table with the family during mealtime. Stokke is a company located in Norway. They have been in business for over forty years and their philosophy is the same as it was in the beginning – “to design products that are in the best interest of the child”. 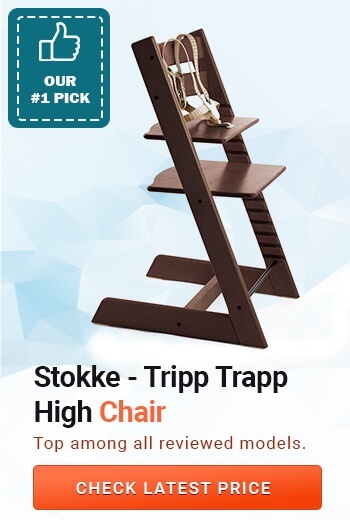 The Stokke Tripp Trapp High Chair lives up to that standard. Both the seat and footplate adjust for the most comfortable and personalized position. 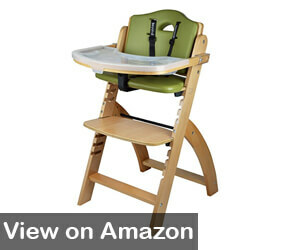 Built from European beech wood, this high chair is designed to be sturdy and stand the test of time. 5-point harness keeps your child safe and secure while enjoying their meal at the table with the rest of the family. 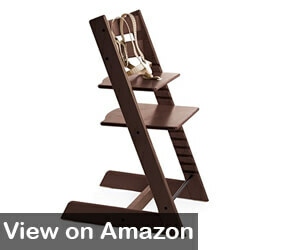 Looking like anything but a highchair, the Tripp Trapp will add to your home’s décor. This seat can be used throughout childhood – older kids love it because it allows them to be on the same level with everyone at the table feeling as if they are sitting in a baby chair. The tray and the soft seat for younger babies must be purchased separately. The compact design of the BabyBjorn high chair makes it one of the best baby high chairs for small spaces. The special ergonomic design “hugs” your child’s body for a soft, comfortable fit. It can be used without or without the adjustable tray making it a stand-alone high chair or a seat for baby at the table. 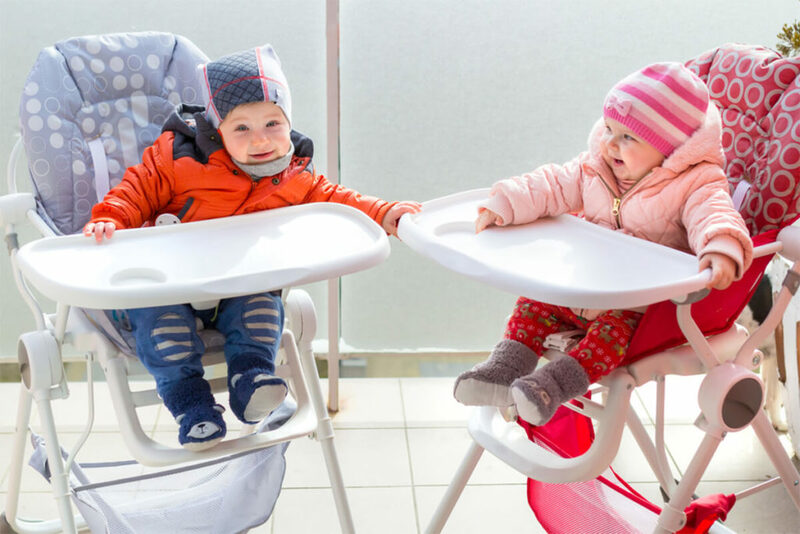 Smooth, rounded surfaces make this high chair easy to clean and the slim design makes it ideal for small spaces – such as apartments and/or mobile homes, where you need to save as much space as you can. JPMA (Juvenile Products Manufacturers Association) Certified for safety. High chair has a foldable and lockable safety table as well as a 3-point harness to keep baby safely inside. Folds flat for traveling or storage. With the smooth, rounded surfaces, there are no cracks or holes for food to fall into so there are no worries about smells or mold created by rotting food. The shape of the seat allows baby to sit straight and promotes good posture. The high chair is short and the height cannot be adjusted. If you are searching for a high chair that can accommodate your special needs child, the Abiie Beyond Wooden High Chair is one of the best choices in baby high chairs. This high chair is designed to hold up to 250 pounds. 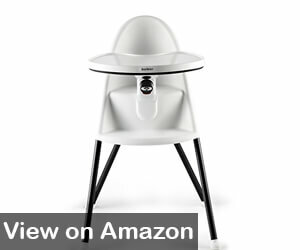 This modern, sturdy, and compact high chair is eco-friendly – made for beech wood from a cultivated forest in Europe. For every tree that is harvested from this forest, several more a planted in its place. The high chair is also biodegradable and recyclable. Dual restraint system can be adjusted from a 5-point to a 3-point as your child grows. Designed and built to last for years – it goes from high chair to traditional dining chair for children of all ages. The height can be adjusted so the chair can be used as a high chair or a toddler chair. Biodegradable and recyclable makes this chair environmentally-friendly. The foam cushion seat is free of BPA ad Phthalate and is removeable, allowing you to use the chair with or without the cushion. The patented EZ Seat System allows you to quickly adjust the seat and footrest within 20 seconds so that it easily adapts to whoever need to use the chair. Some parents stated there are too many crevices to catch food, making it extremely difficult to clean after each feeding. 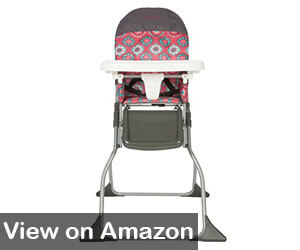 The Cosco Simple Fold High Chair is one of the best spacesaver baby high chairs on the market. 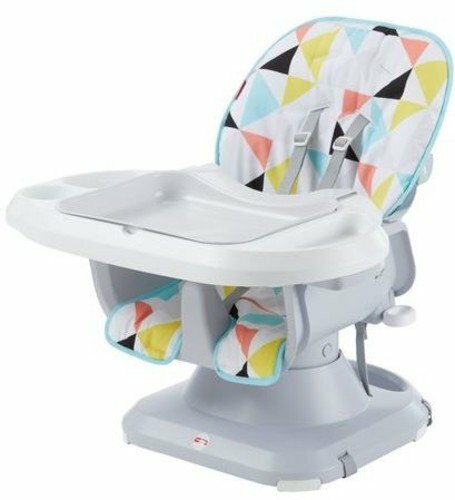 Easy to assemble and fold, this high chair is ideal for homes with limited space and for traveling. When folded, the high chair stands on its own, so that it can be placed in small spaces for storage Bag. The simple design makes this chair suitable for any room in your home and the easy assembly means your will have it ready for baby in no time at all. The full size adjustable tray has a built-in cup holder and has three adjustment positions so that it grows with your baby. Equipped with a 3-point harness (waist and crotch) for safety. Sturdy enough to hold a child up to 50 pounds. The legs and back of the seat are not adjustable, so this may not be the right fit for all babies – especially younger babies because the back of the seat is always in a reclining position. 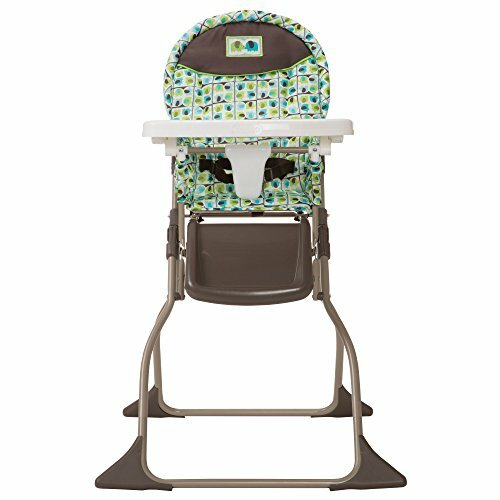 This Fisher-Price Spacesaver High Chair with a rainforest friends theme is also one of the best spacesaver baby high chairs on the market. 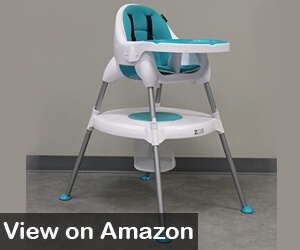 It does not have legs like a normal high chair – but, converts from a reclining seat for small babies to an upright seat for older babies to a booster seat that attaches to a regular dining chair at the table for your toddler. This Spacesaver chair offers three reclining positions so it can be used for babies of any age as well as three height adjustments, so it grows with your baby. It also has a large, contoured seat that is covered with a cushioned seat pad for baby’s comfort. Dual restraint system – 5-point harness for your babies and 3-point harness for toddlers. Straps securely to any dining room chair for convenient feeding for any age. The removable food tray is dishwasher safe. The seat pad is removable and machine washable – it is also made from a stain-resistant fabric. JPMA Certified for quality and safety. The straps do not come off easily, making it difficult to keep the straps clean. The Graco Blossom High Chair is a 4-in-1 seating system. It is designed to grow as your child grows. 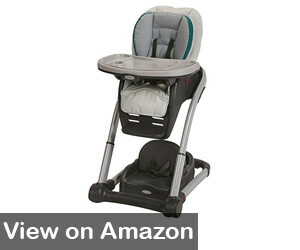 It has four stages – reclining infant booster, high chair, booster seat for toddler, and a youth chair. Easy to move throughout your home as it is equipped with wheels with brakes on the back for stability. This high chair is extremely versatile, with 6 height adjustments, 3 recline positions, and 3 footrest positions. It can easily be used for a newborn, baby, or toddler by making a few adjustments. It can be safely used for your child up to 3 years old or 60 pounds. For easy cleanup, it is equipped with a pull-out tray insert that is dishwasher safe. The seat pad is removable and machine washable. Equipped with 5-point and 3-point harnesses to keep baby safe through each stage of growth. 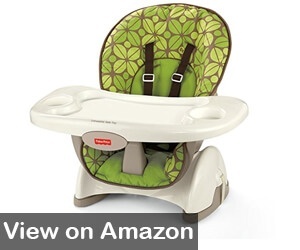 Allows you to feed 2 children at once – high chair for baby and booster seat for toddler. Includes a storage basket so you always have everything you need right at hand. Some parents state that the high chair rolls even with the brakes on, which can make it difficult when you are putting child in or taking him/her out. A high chair is a pretty common sight in homes with small children. These free-standing chairs designed specifically with baby’s safety and comfort in mind helps to elevate baby and/or small children to make it easier for mom or dad to feed baby or make it easier for baby to join the family at the dinner table. There are several things you should consider when you are choosing the best baby high chair for your little one. Perhaps one of the most important features of the high chair is the restraint system. The restraint system often consists of a belt that fastens baby safely into the chair to prevent falls. There are typically two types of restraint system – a belt that fastens around the waist and crotch are or a 5-point harness, such as the one you find in a car seat. Another important feature is portability and storage. 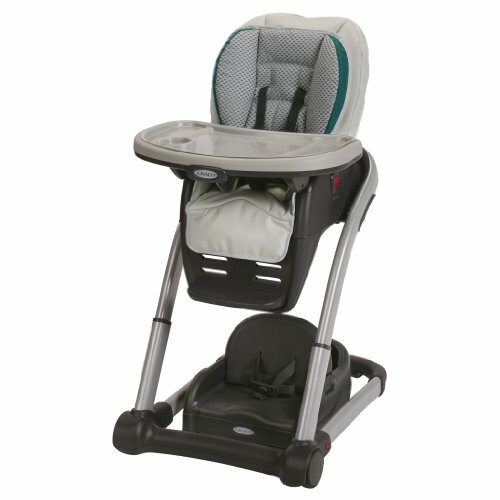 Does the high chair fold so that it can be transported easily and/or stored easily? Often, a high chair will be moved from room to room, depending on the family schedule, activity level, or presence of more than one child. Mom may feed baby in the play room at lunchtime so she can watch over other children, then feed baby at the dinner table with the family in the evening. In this case, finding the best folding baby high chair would be important. Being able to adjust the seat height gives you more options with your high chair. You can adjust the height so that the chair fits your dining room table so that baby feels included at mealtime. You can also adjust the height so that the chair is at a level that is easy for mom to feed baby – whether she is sitting or standing. This can prove to be a key feature to consider when choosing baby’s high chair. Safety is always a concern – especially when baby is sitting in a chair a couple of feet off the ground. The Australian Competition and Consumer Commission recommends the following tips to ensure your baby is safe when using a high chair (Source). Before placing baby in the high chair, be sure that it does not tip over easily – flat surface, not placed close enough to counters, tables, and other furniture that baby can use to flip the chair over. NEVER leave your child unattended while in a high chair. ALWAYS use the safety harness – 5-point harness is the safest – to prevent climbing or falling out of the chair. To avoid pinching baby’s finger or hand, be sure his/her hands are not in the way before fastening or unfastening the tray. Do not place the high chair near windows, electrical appliances, curtains, or blind cords. Be sure there is nothing that can be pulled down on baby and nothing baby can push against with feet to move or tip the chair over. When the high chair is not in use, store it somewhere it is not easily accessible to prevent older babies from climbing on the chair. With the criteria I mentioned at the beginning of the article in mind – as well as safety, versatility, and extended use, I have chosen the Graco Blossom High Chair as the best baby high chair from this group. Made to last and able to convert into four stages, this high chair truly grows with your baby. One of the features that attracted me the most is the ability to feed more than one child at a time. This is great for parents with two children close in age, but in various stages of growth. The handy storage basket is also a notable feature – and a time-saver for mom because all feeding supplies are always within reach. Graco is one of the most well-known manufacturers of baby products. For over 60 years, Graco has been providing parents with quality baby products that are designed for durability, safety, and practicality. 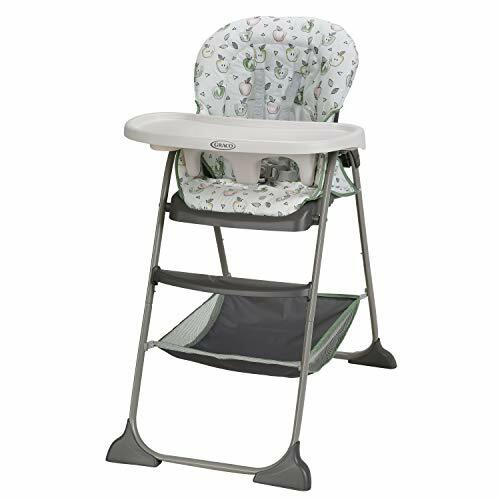 If you are searching for the best baby high chair that provides quality, versatility, durability, and years of service, you can’t go wrong with the Graco Blossom 4-in-1 high chair that goes from infant feeder to big kid chair.